Flippers rejoice! The Federal Housing Administration (FHA) will continue supporting your churn-and-burn efforts through 2012.
first tuesday take: Speculators pose a systemic danger to a recovering housing market creating artificial demand, which temporarily drives sales volume and prices upward. Accordingly, the FHA is ill-advised to continue allowing flippers free rein in this still-recovering California real estate market — simply because speculators are good for lenders’ real estate owned (REO) liquidity does not mean they are good for California’s real estate market. The typical speculator, interested in simply buying low and selling high, acts as a parasitic middle-man during real estate market recoveries. During recovery periods as we are now experiencing, speculators serve only to artificially inflate sales volume and prices and, in turn, pose unnecessary barriers to buyer-occupants returning to the single family residence (SFR) market. 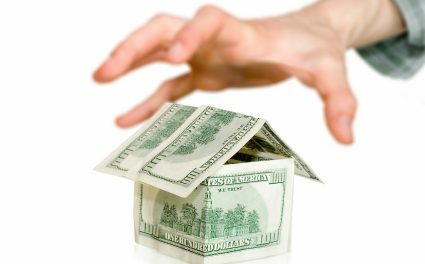 Since the FHA has given up the ghost of speculator suppression in the interest of artificially spurring sales volume and prices, California’s real estate agents and buyers need not concern themselves with the seller’s acquisition date of the property in question. However, if the home was purchased by the current owner within the past several months (as shown in the ubiquitous property profile), the buyer needs to be advised of this fact as a flipper may be afoot, artificially inflating the price to the buyer’s detriment. PreviousThe generations have spoken, who will listen? Whether it’s REO sales or flipping of speculator property, the simple rule of supply and demand exists as noted by most of the comments above. What a buyer is willing to buy at and a seller is willing to sell at is the crux of the situation. Flippers need to make sure that their properties will appraise at a value in a depressed radius of the comparable sales. Buyers know exactly what they are getting into these days due to the great savings as compared to the height in the market. FHA made a good decision to get back into the Flipping business because there are a lot of buyers that want to buy immediately. It has been my team’s experience that in our area prices below $450k are being bought by all-cash buyers. There is no trickery here, it is what spurs economies not hinders or endangers them. Other than a irrational prejudice towards “flippers” this article offers nothing. The FHA change has been in effect for a while, and Banks want cash. Speculators provide a service TODAY for those looking to act TODAY. Wishing for stability does not make it happen. Blaming those who are actually providing stability, as a willing buyer in a crap market rather than the ones who keep it in turmoil (solvency challenged lenders, whining agents, delinquent owners, Fannie Mae, Freddie Mac, and the gov’t) is counter productive. Excellent informations! Just the things that we in real estate needs to know !!! Better than any other articles. Thanks for emailing the ever changing situation, laws, rules and regulation ects. I don’t believe your characterization of speculators and their alleged negative effect on the market is accurate. Buyers are very aware of values esp if represented by a realtor and are not likely to buy an inflated priced home. Speculators don’t create demand. Buyers do. Vast majority of buyers are not willing to buy a fixer which all most bank reos are. Typically in most all flipping situations the flipper added value thru at least some rehab and so deserves to make a profit. If it weren’t for the rehabber/speculators these bank reos would sit on the market for extended periods of time further depressing the market, not to mention creating extensive blight.